To serve the students of the Margaret Okari Children’s Foundation by providing them with an education, a home, love, and hope for a future. 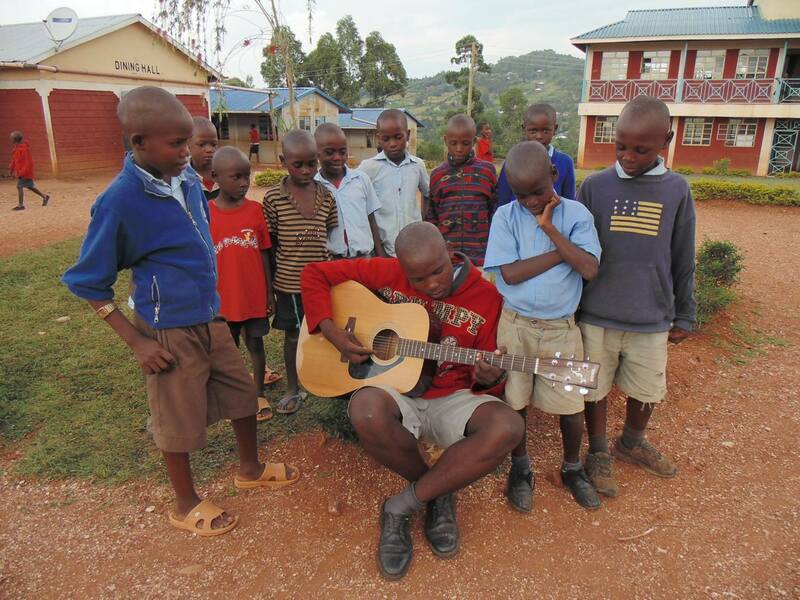 The Okari School is located high upon a hill in Kisii, Kenya which is about a seven-hour drive from Nairobi. The 5-acre parcel of land that the school is located on was donated by the Town Elders. When the AIDS pandemic struck Africa, Kwamboka and Margaret Okari began taking in orphaned children and finding boarding schools that would take them in and care for them. They knew that if given a chance, these children would become healthy and productive citizens. Sadly, Margaret died of hepatitis. Kwamboka persevered with their powerful vision. She knew that with an education and advocacy, the children would grow and thrive—and they are. After seeing their success, the Town Elders of Kisii recognized the merit of their work and donated 5 acres of land on which to build a school. To date we’ve built two dorms, classrooms, a dining hall, and guest quarters. We will break ground on a clean-water well in the summer of 2015. We have an ambitious plan for the future. There is an African proverb that says, “If you want to go quickly—go alone; but if you want to go far—bring everyone. We are constantly inspired by the willingness of people to get involved to perpetuate the Okari vision. The Margaret Okari Children’s Foundation serves 230 orphans who look to us to provide them with an education, home, love and a sustainable future. It is a wonderful story and we have just begun to tell it. Thank you for your interest. She was the beloved sister of Kwamboka Okari, the School’s Founder and Executive Director. Originally, Margaret Okari took in the first children after their parents died during the AIDS pandemic. She and Kwamboka cared for them and found boarding schools and sponsors until the numbers grew beyond their capabilities. Sadly, Margaret died of hepatitis and was not there for the ground breaking of the school in 2009; Kwamboka named the school in Margaret’s memory. Kwamboka imported soapstone from Kenya to the U.S. and sold it in upscale shops and boutiques throughout the United States. When the AIDS pandemic struck Africa, many of the carvers died, leaving these orphans behind. Kwamboka was well acquainted with their families and worked within her network in the United States to help her sister Margaret—back in Kenya—support these children. Kwamboka has a powerful vision for the children of the Okari School. Her sentiments are simply spoken: “We believe that educating our orphans has the power to shape not only their destinies, but that the collective power of educated individuals can influence the destiny of Africa herself.” Kwamboka is a relentless advocate who knows and proves that education is the cornerstone to a healthy and productive life. She is truly a success story.